Atrafen is a thermogenic weight loss aid from Nutratech that has been developed to work as a powerful fat burner and appetite suppressant. According to the manufacturer’s website, when this Atrafen review was written, the product offers a “comprehensive, multi-system approach to weight loss and appetite suppression” while at the same time preserving muscle, boosting energy and increasing focus. 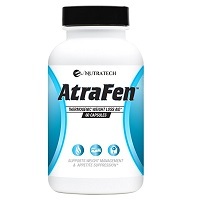 Atrafen has been designed for both men and women and supposedly “ignites extreme thermogenesis” without causing jitters. This dietary supplement works on both the mind and body to help users burn fat, improve their energy levels and stay motivated. The ingredients in the Atrafen formula when this review was created were a part of a 600 mg Proprietary Formula. 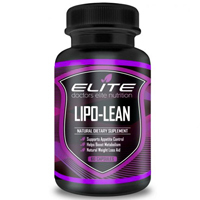 This formula was composed of Raspberry Ketone, African Mango Extract, Acai Fruit, Green Tea Extract, Resveratrol, Caffeine Anhydrous, Apple Cider Vinegar, Kelp, Grapefruit. To start, none of these ingredients have ever been scientifically proven to cause weight loss. Although the manufacturer did not make this claim, it is important to point this out to eliminate any assumptions you might have about this OTC diet pill. That being said, Atrafen does contain caffeine, which can be beneficial at enhancing mental focus. Improved mental focus could help support your weight loss efforts. While it will not directly cause you to drop excess pounds, when your mind is sharp and alert, you are more likely to make better dietary choices and may feel more motivated to keep up with your exercise commitments. 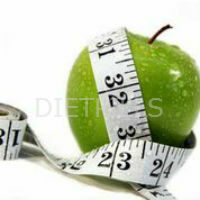 Moreover, caffeine may help to maximize your fat burning potential when it is combined with exercise. Still, any benefits that caffeine or any of these other ingredients may potentially provide, will only be of use to you if you follow a healthy diet that is reduced in calories as well as follow a regular fitness appropriate exercise plan. For optimal results with Atrafen, take 1 pill twice per day, 30 minutes before meals with 8 ounces of water. That being said, although the directions did not specify which meals, it would likely be best to take the pills with breakfast and lunch. The reason is that this product does contain caffeine. Taking it with dinner or too close to bedtime could negatively impact your sleep, especially if you are sensitive to this stimulant. Speaking of caffeine, also keep in mind that it can cause other unwanted side effects, some of these may include jitters (in spite of what the manufacture may claim), restlessness, anxiety, headache, upset stomach, etc. This entry was posted in Non-Prescription Diet Pills Reviews and tagged Acai Fruit, African Mango Extract, apple cider vinegar, caffeine anhydrous, grapefruit, green tea extract, kelp, raspberry ketone, resveratrol on December 10, 2018 by editor. 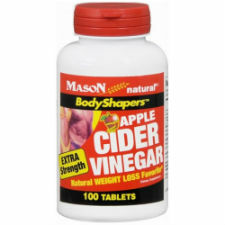 Body Shapers Extra Strength Apple Cider Vinegar is a dietary supplement from Mason Natural that has been designed to help promote a healthy metabolism, as well as support appetite and fat-burn control. This entry was posted in Non-Prescription Diet Pills Reviews and tagged apple cider vinegar on April 24, 2017 by Diet-Pills.cc. 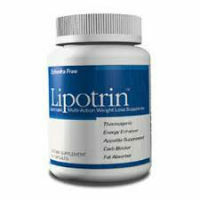 Lipotrin is marketed as a “Lipotropic Multi-Action Weight Loss Supplement” that comes from Big Nutrition. The claim about this product is that it is a thermogenic, an energy enhancer, appetite suppressant, carb blocker and fat absorber. It supposedly manages to achieve all of these objectives through its 13 active ingredients. 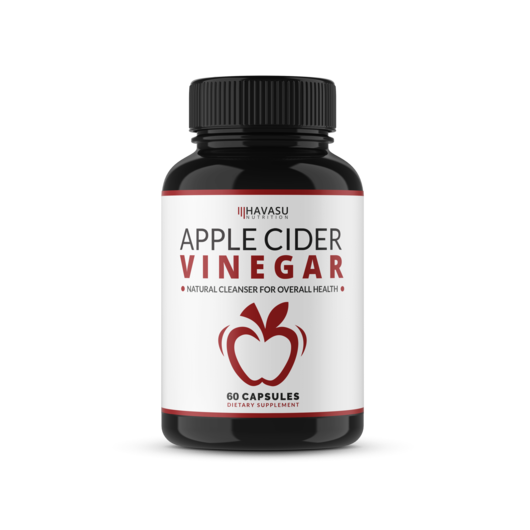 This entry was posted in Non-Prescription Diet Pills Reviews and tagged apple cider vinegar, caffeine anhydrous, chitosan, Choline, Chromium Picolinate, ginger root, green tea, guarana, Milk, Phaesolus Vulgaris, Psyllium Husk, Siberian Ginseng, Thistle, uva ursi on September 29, 2016 by Diet-Pills.cc. Should You Take Spoonfuls of Apple Cider Vinegar to Lose Weight? There has been a trend that has been taking off over the last decade or two and that is only continuing to get larger, and it involves taking apple cider vinegar to lose weight. This has involved swallowing tablespoons of the stuff, mixing it with water and drinking it, or swallowing it in the form of capsules in order to be able to obtain the benefits that many claim that it has within the body. This entry was posted in Healthy Dieting and tagged apple cider vinegar, dieting, healthy diet, weight loss on September 16, 2015 by Diet-Pills.cc. 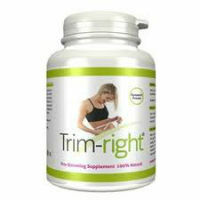 Trim-Right is a nonprescription diet supplement that is marketed as being an appetite suppressant along with being a metabolism enhancer that will allow dieters to be able to get rid of their excess weight. The official website for the product makes a number of bold claims that are very common in this industry, but it will take further investigation to know whether or not the product can actually live up to those promises. This entry was posted in Non-Prescription Diet Pills Reviews and tagged appetite suppressant, apple cider vinegar, capsicum, fat burning, green tea extract, guarana, metabolism on April 22, 2014 by Diet-Pills.cc. 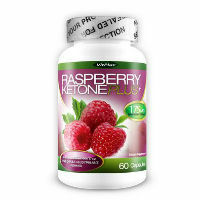 Raspberry Ketone Plus is among the products that is taking advantage of the most recently hyped weight loss ingredient that has taken over for acai berry as a fat burning supplement that has not been proven. This particular nonprescription diet pill claims to provide the dieter with the benefits of raspberry ketone that had previously gone unrecognized. This entry was posted in Non-Prescription Diet Pills Reviews and tagged acai berry, african mango, apple cider vinegar, caffeine, grapefruit, green tea extract, kelp, raspberry ketone, resveratrol on January 18, 2014 by Diet-Pills.cc.